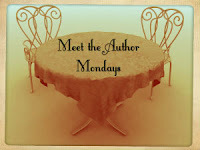 As I worked my way down my last minute to-do list, I realized that I hadn’t yet started the Meet the Author post that I wanted to send yesterday. Typical of me I guess - forgetting about things until the last minute. That’s why I started making to-do lists in the first place, so I wouldn’t forget things! Of course, now I have to remember to look at the list…. * I am a woman. Many, many readers assume I am male. Go figure! * I am a cat person. I like dogs, but dogs bite me. Always have. I must exude some weird “bite- me” scent! * I live in Michigan, but hope to retire to Florida someday. * I am NOT a morning person. Despite having a day job that requires me to be up at the crack of dawn, I do my best work in the afternoon and evening. I love to stay up late, and sleep in on the weekends. * Grew up with two younger brothers in a neighborhood where everyone knew everyone. We played unsupervised and had the run of the neighborhood. When the streetlights came on, it was time to go home. * I was the quiet kid in the back of the class that never said a word. I had a few close friends but I preferred books to people, and was never without a book in my hands. * I grew up in a neighborhood full of boys, so I was a bit of a tomboy. While I owned Barbie’s, and loved to play with them inside, outside I was just one of the guys. * I loved school, and got straight A’s. Well, I got straight A’s right up until Algebra came along! * I hated Algebra. Still do. * Read. While I prefer to read suspense thrillers, I pretty much read anything I can get my hands on. Except romance and vampires. I hate vampires. * Play Bubble Safari on Facebook. * Bicycle. Love to ride the bike trails! Last summer I pedaled over 1000 miles - 20 miles at a time. Wish I could bicycle year round, but with an average snowfall of 105 inches… yeah, that’s not happening. * Daydream about retiring to Florida. * Publish the sequel to This Time You Lose. * Complete the P90X Exercise Program. Did it two years ago and lost a ton of weight while gaining strength and stamina. Then I quit. Huge mistake. Going to do it again and stick with it this time! * Join Pinterest. I’ve heard about it, but never tried it. Figured I may as well see what it’s all about. * Clean out my closets. Five closets and all are an absolute disaster. Bulging with everything from clothing to cleaning supplies to Christmas decorations, it’s all I can do to get the doors closed! * Find room for a bookshelf - way too many books in my house. Wait a minute…maybe I can convert one of the cleaned out closets into a bookshelf. Make it my own mini library! Yes! Problem solved. * Finish wrapping Christmas gifts. Done. * Pick up stocking stuffers for the grandkids. Done. * Make copies of latest short story for writer’s group next week. Done. * Write something just for fun. Actually, this post has been fun to write, so I guess I’ll mark this one off from my to-do list too! Done. Chris Stralyn never intended to be a writer. Short-order cook, security guard, safety officer, childcare provider, and teacher were all titles she'd worn - but never writer. Then she entered an essay contest for "The Worst Vacation Ever" and won. Writing became her new hobby, and soon she had several articles in print with local publications. This was followed by a short story, The Khaki Pants, which was published by RDR Publishing in an anthology that went on to sell over a million copies. 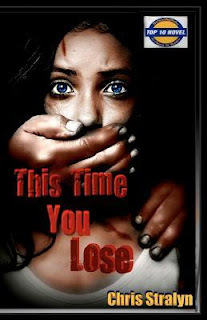 A suspense thriller was her next undertaking, and in 2008 This Time You Lose was named a finalist in the TNBW Strongest Start Novel Competition. Four months later it earned the distinction of being a TNBW Readers Choice Top Ten Novel, and has remained on the Top Ten list ever since. Chris Stralyn continues to put pen to paper in her endeavor to appease the Muse within. She lives in Michigan with her husband and family.